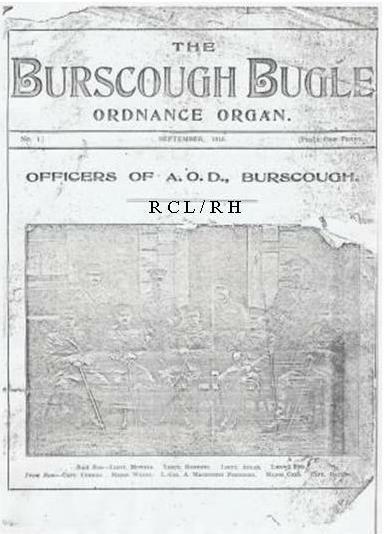 Printed by The Ormskirk Advertiser (weekly) produced by Ordnance Depot staff. The publication was the ‘mouthpiece’ of the depot detailing the comings and goings, sports activities both military & social during The Great War period. 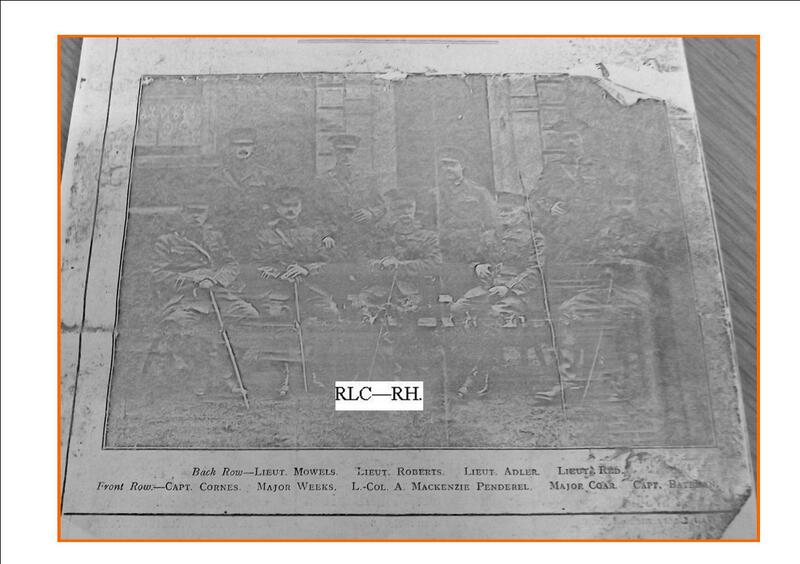 Courtesy of the curator Royal Corps of Logistics \s are all thus identified RCL – RH. 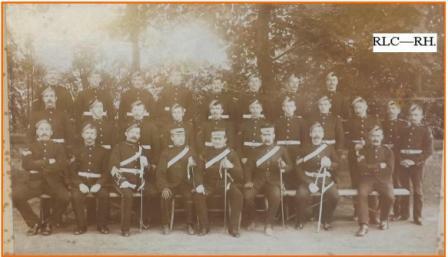 Officers & Warrant Officers, NCO’s & Staff 1896. 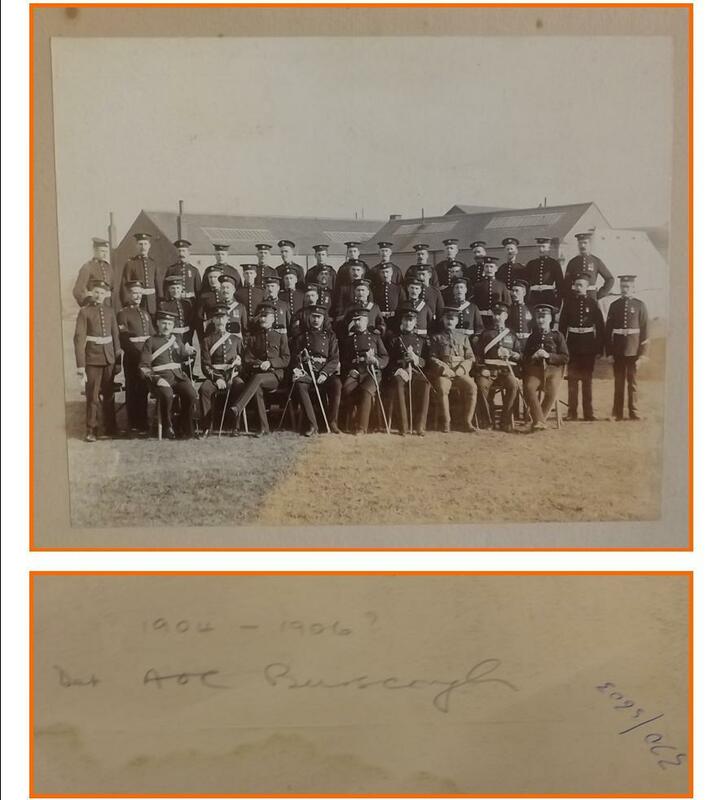 Army Ordnance Corps 1906 Pre Lord Haldane reforms of 1908. 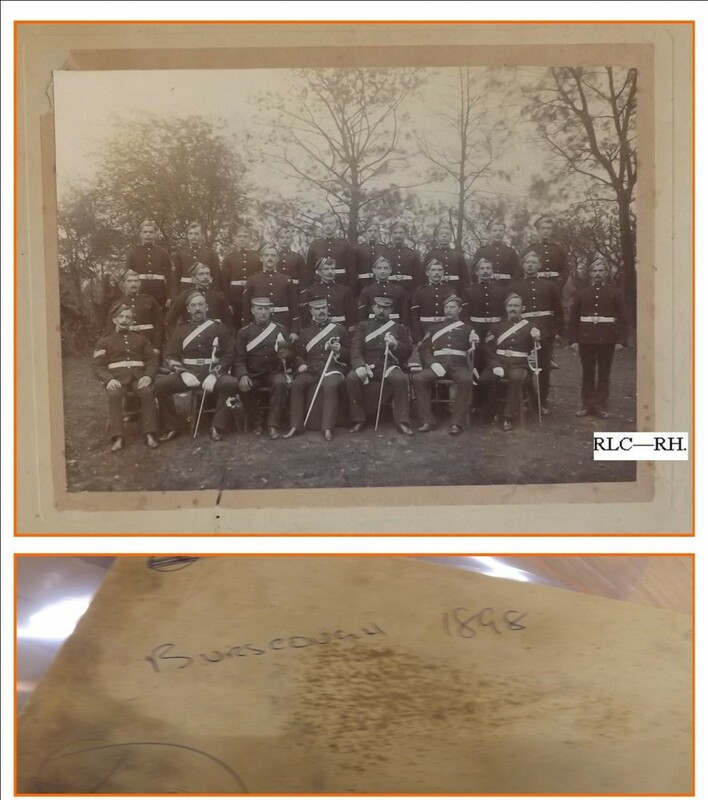 A Short history of Burscough Depot dating back to 1892. 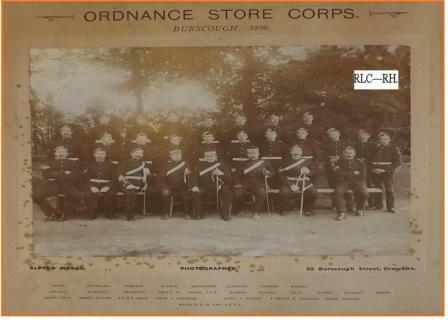 “As near as can be ascertained the site became an Ordnance Depot in 1892, Capt Thompson was the first Ordnance Officer, he was followed by Capt Law, now Brigadier Law (retd) he was the first occupant of what was Ordnance House” The Depot is served by a railway spur from the LMS Railway at Burscough Junction whilst the Leeds Liverpool Canal flows by its northern boundary, additiona buildings erected during The Great War still remain. The ‘Depot’ is the only one for supply in the whole of Western Command serving East & West Lancashire areas part of Wales north of Aberystwyth to Much Wenlock in Shropshire & Northern Ireland. 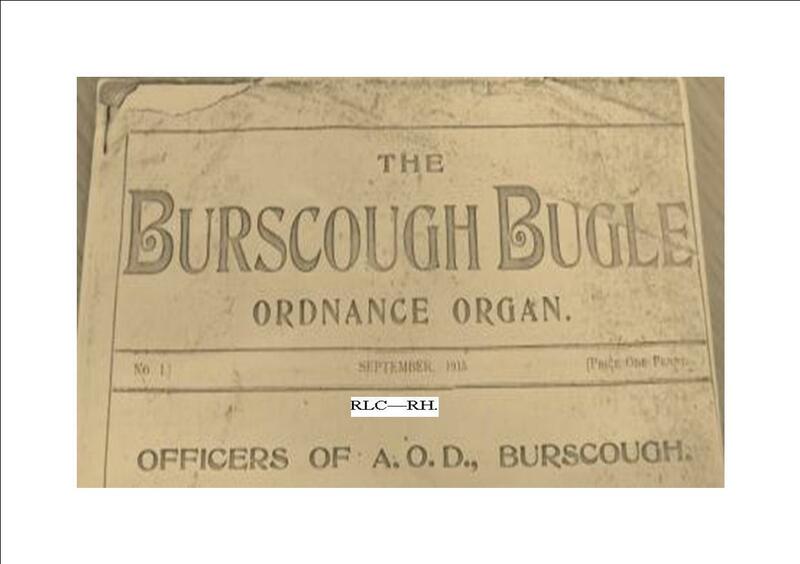 All rifles, machine guns, bicycles are based at the central workshops in Burscough, whilst all artillery & unit equipments for the whole as defined are dealt with in Burscough Workshops. The Inspecting Ordnance Officer caters for East & West Lancashire Areas.. The Respirator Depot at Leyland comes under the jurisdiction of Bursough. Serving with 25th Infantry Divison when killed, highly regarded in Burscough having been attached to the depot for some time. Regular attender at St Johns Parish Church. Notification of his death appeared in their parish magazine in 1916. 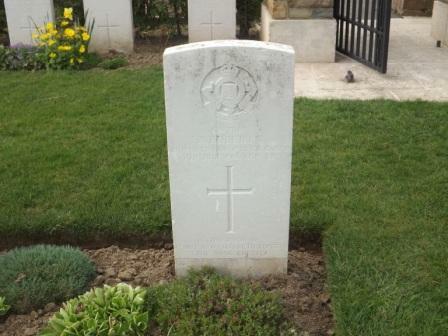 He is buried at Bouzincourt Communal Cemetery, nr Albert, France. The Royal Army Ordnance Corps (RAOC) was a Corps of the British Army. Until 1942 it was both a supply and repair corps. In the supply area it had responsibility for weapons, armoured vehicles and other military equipment, ammunition and clothing and certain minor functions such as laundry, mobile baths and photography. The RAOC was also responsible for a major element of the repair of Army equipment. The latter function was transferred to the Royal Electrical and Mechanical Engineers and the vehicle storage and spares responsibilities of the Royal Army Service Corps. The RAOC retained repair responsibilities for ammunition, clothing and certain ranges of general stores. In 1964 the McLeod Reorganisation of Army Logistics resulted in the RAOC taking petroleum, rations and accommodation stores functions from the Royal Army Service Corps as well as the Army Fire Service, barrack services, sponsorship of NAAFI (EFI) and the management of staff clerks from the same Corps. On 5 April 1993, the RAOC was one of the corps that amalgamated to form the Royal Logistic Corps (RLC). Supply and repair of technical equipment, principally artillery and small arms, was the responsibility of the Master General of the Ordnance (MGO) and theBoard of Ordnance from the middle ages until they lost their independence in 1855. Thereafter followed thirty years of fluctuating allocation of responsibilities and a great variety of titles of both corps and individuals. This complex, convoluted and largely unsatisfactory period insofar as Army logistics was concerned was summarised in 1889 as follows: ‘The English Ordnance Department goes back into an older history than the Army. There were Master Generals of the Ordnance and Boards of Ordnance centuries before there were Secretaries of State for War or Commanders-in-Chief. Begun under the Tudors the Board of Ordnance lived through the changes of the Great Rebellion, the Commonwealth, the Restoration and the Revolution until it fell, at last, in the panic that followed in the disasters of the Crimean War. …the many alterations in administration that followed the abolition of the Board of Ordnance, through the last 30 years, can only be read as a negative evidence in favour of the organisation, and as positive proof that the machinery of effective Army Store administration has yet to be evolved from its ruins. In the years following the Crimean War three corps can be identified as the direct predecessors of the RAOC. The Military Store Department (MSD)created in 1861 that granted military commissions. In parallel a subordinate corps of warrant officers and sergeants, the Military Store Clerks Corps (MSC), was also created to carry out clerical duties. These small corps (235 officers in the MSD and 44 MSC) based largely at the Tower, Red Barracks, Woolwich and Weedon were supplemented in 1865 by a Military Store Staff Corps(MSSC) to provide soldiers. In 1870 a further reorganisation, ostensibly to simplify management, resulted in the MSD, MSC and MSSC being grouped with the Army Service Corps (ASC) under the Control Department. The officers remained a separate branch (Ordnance or Military Stores) in the Control Department but the soldiers were absorbed into the ASC. This arrangement lasted until 1876. RAOC and the First World War. Then known as the AOC. As with the rest of the British Army the AOD/AOC was transformed by the First World War. Both the sheer scale of the war and the increasing technical complexity created an organisational structure that, in its outlines, survives until today. The depots at Woolwich, Weedon and Pimlico were supplemented by the wholesale takeover of warehouses throughout the country and in early 1915 a depot was established at Didcot to be the major focus for the receipt and distribution of RAOC stores. Ammunition storage was also expanded dramatically and the former peacetime magazines at places such as Portsmouth and Plymouth were supplementd by purpose built depots at Bramley, Altrincham, Credenhill and Didcot. 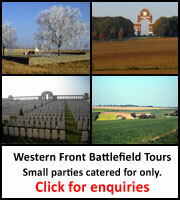 On the Western Front a highly successful logistic infrastructure, largely rail based, was created to support the front. Parallel systems, but of less complexity, supported operations in Italy. Other expeditions such as Gallipoli, Palestine and Mesopotamia brought supply challenges and a large logistic bases were established in Egypt and Basra. After the war there was considerable retrenchment but in the 1930s re-armament and the mechanisation of the Army led to a redesign of the UK base. 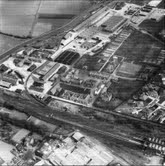 A Central Ordnance Depot (COD) and workshop to support vehicles, built on the site of the First World War National Shell Filling Factory, Chilwell, opened in 1937. The operation of this depot was notable in that it mirrored and tried to improve on best civilian practice at the time. This became a hallmark of RAOC development in the following decades. A further COD at Donnington to hold non-vehicle technical stores opened in 1940. This removed from Woolwich to a less vulnerable site in Shropshire a range of critical items. Finally in 1942 a very large COD, widely spread out across the Oxfordshire countryside to mitigate the risk of bomb damage, opened at Bicester to hold stores principally to support the invasion of France. Additionally purpose built vehicle depots for both tracked and wheeled vehicles were opened across the country and Central Ammunition Depots (CAD), including Kineton and Longtown were built. Forward of the UK base a huge array of temporary depots were built to meet the rapidly changing pace of war. Base Ordnance Depots (BOD) and Base Ammunition Depots (BAD) sprung up all over the world wherever a major line of communication was established. Major changes took place after 1942 when the REME absorbed most of the RAOC repair functions and the RAOC in turn took over the RASC’s vehicle organisation. The more mobile nature of the Second World War also led to the creation of units at divisional and corps level with higher levels of mobility. The most notable of these was the ordnance field park principally carrying vehicle and technical stores spares. In the period 1945-93 the RAOC, as with the rest of the Army, reduced very substantially in size and closed its world wide bases as garrisons withdrew. At the same time there was considerable development of warehousing techniques and information technology. By 1980 the RAOC was reduced to two CODs at Bicester and Donnington (COD Chilwell was closing and CODs Branston and Didcot had closed in 1963 and Weedon in 1965 after being downgraded from a COD in 1957), two CADs at Kineton and Longtown (CAD Bramley closed in 1974) and a single Central Vehicle Depot (Now retitled Central Vehicle Organisation) at Ashchurch (CVDs Hilton and Ludgershall having closed in in the late seventies). Across the UK a structure of Regional Depots, Ordnance Support Units, Training Materiel Parks. supply depots and Ammunition Sub-Depots was steadily run down. At the height of the Northern Ireland troubles Ord Dep Kinnegar was a major logistic facilty but is now much reduced. Overseas 3 BOD in Singapore closed in 1972 leaving a Combined Ordnance Depot in Hong Kong (that finally closed shortly before handover in 1997). The Middle East logistic base withdrew from Egypt in 1956 – 5 BOD and 9 BAD closing in 1955 – and was partially re-established in Aden. In turn this closed in 1967 with facilities being established in Sharjah and Bahrein. These, in turn, closed in 1971. The Ordnance Depot in Cyprus became part of the Joint Logistic Unit in 1988. In Germany 15 BOD and 3 Base Ammunition and Petrol Depot (BAPD) closed in 1992. Smaller successor units, including one at Antwerp, remain.